The Crazy Bookworm is thrilled to welcome back author Sandra Edwards! Today she stopped by to tell us what inspired her beautiful book 'Incredible Dreams'. Enjoy! Anyone who’s familiar with my writing knows that my muse sets her sights in whatever direction she pleases. If there’s one thing I’ve learned from my eclectic tastes it’s not to limit my storylines. Therefore, I don’t concentrate so much on being genre specific as trying to tell a unique story. Many of the books I write come from my fascination with a variety of topics. If I can merge a couple of them into what I think might turn into a decent storyline, I turn my muse loose and see where she takes me. It was from a love of ghost stories, a fascination with the 1940s, and the concept of time travel that led me to an idea that eventually became the book Incredible Dreams. I’m sure many of you know about the Freddy Jackson photo that floats around the Internet. For those who don’t...Freddy Jackson was an airplane mechanic who served in the RAF during WWI. 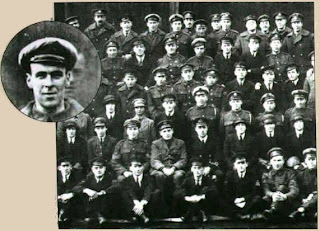 Two days before the Squadron’s photograph was taken in 1919, Freddy died in a freak accident involving an airplane’s propellers. His funeral was held the same day as the Squadron gathered for their portrait. 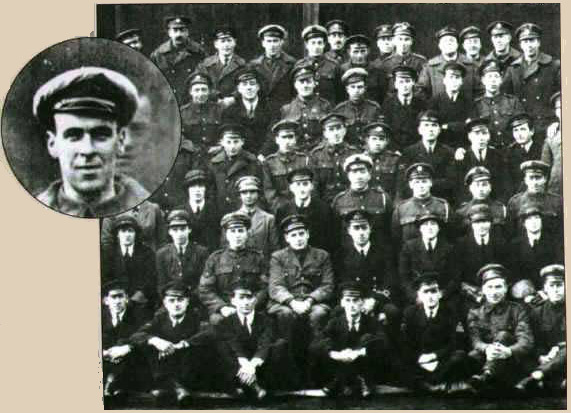 Stories say that Squadron members identified the mysterious face behind the fellow in the back row as Freddy Jackson. Now, I’m not here to debate the validity of the photograph...I’m just here to let you know how the infamous image fueled my imagination. My first thought after seeing the picture and reading the story for the first time was how sad that he’d passed away in such an untimely and devastating manner. And—if the image in the photograph was indeed Freddy’s face—the thought that he might have felt so strongly about participating in the squadron’s portrait that he’d show up, even though he was dead, was sadder still. The next thing that breezed through my thoughts was...it’s too bad someone can’t go back in time and save his life. After tweaking a few details, the story began to take shape. I adapted my storyline to the 1940s (because of my fascination with the era). And I adjusted my hero’s occupation (the sad fact is that in the world of publishing a pilot is a preferred hero to an airplane mechanic). The reason Jack (my hero) is an American is because I’m an American, and therefore, I know a little more about the US Military than the RAF. And since I was a kid during the 60s and 70s I figured I’d have enough research to do without adding the RAF to the mix. And that is how my hero came to be an American WWII fighter pilot. Originally, my hero’s name was Jack Bauer. I was one of probably ten people who hadn’t seen the television show 24. Someone (a contest judge somewhere along the way) suggested that I change his name to “John Bauer”. No way. His name is Jack. So I changed Bauer to Baker. I set the book in early 1946, less than six months after the Japanese had formally surrendered aboard the USS MISSOURI in Tokyo Bay. The main reason I did this is because I needed the War to be over, but not so far off that the country wasn’t still on edge. I figured the expected method for Jack’s death would have been during an aerial battle, but it would’ve been pretty near impossible for my heroine to save him from that fate. And, I like to surprise people, so I came up with another method. Everything pretty much evolved from there. The more I researched 1940s America, the more the story came together. I so enjoyed writing Incredible Dreams and I’m thrilled with the great reception it’s receiving. If you’re intrigued by my very outside the box time travel romance, you can get the first 100 pages as a printable PDF download at my website. And for the month of October, Incredible Dreams is on sale for just $0.99 on Kindle and at Smashwords. Use coupon code MT27W to receive Kindle price at Smashwords. Hi Sandra. You're book and the story behind it are fascinating. So sad, though, that you couldn't make an airplain mechanic a hero. In my eyes, true heroes come from the working class that supports the world. True, silent heroes. At least you haven't boxed yourself into a specific genre. Thanks for sharing. This is such a cool story! Great job! I like this blog, Crazy Bookworm, and love that story, Sandy! How creative is that!!! Such a cool idea for a book. Thanks for including the photo too! I love Incredible Dreams. A different and intriguing story with a great romance. I also love the WW2 era. I'm fascinated at the background for your story and your research. I'd not heard of Freddy Jackson before. Funny, when I was reading Incredible Dreams, I kept thinking how close the name Jack Baker was to Jack Bauer. I can't believe you haven't watched 24. Very interesting post and I highly recommend Incredible Dreams. Great behind the scenes post. Hi! I'm following from Book Blogs! My heartfelt thanks goes out to everyone who dropped by to read my post :-).